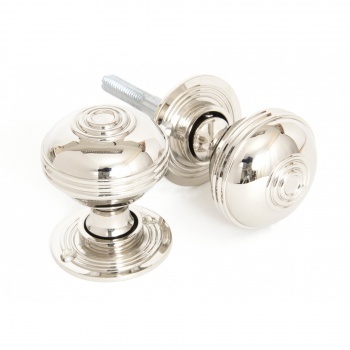 A finely crafted nickel handle with the correct feel and gravitas of the original. 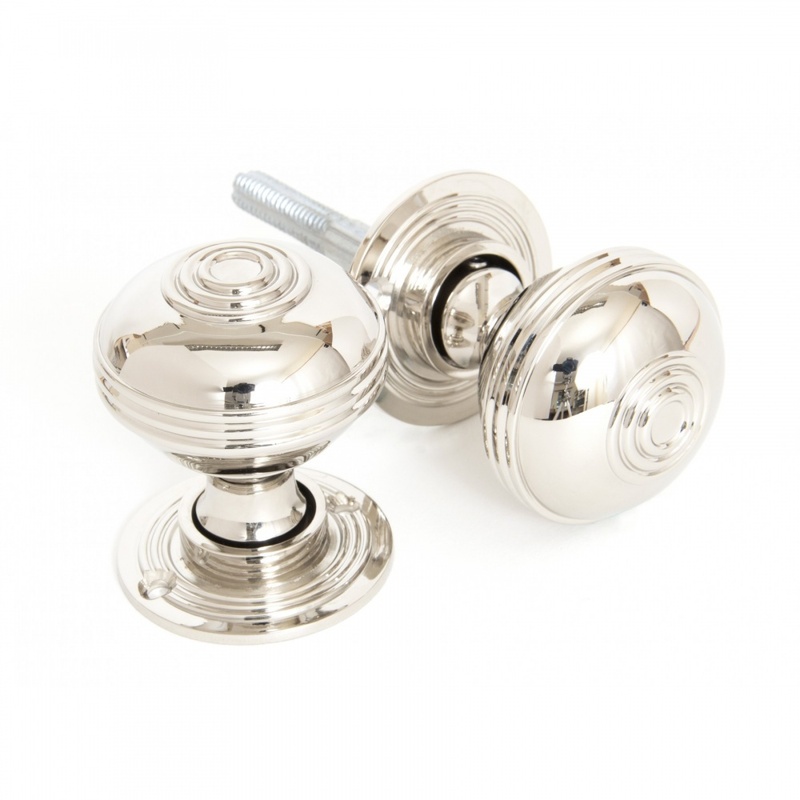 It comes with an attached back plate with four screw holes to ensure secure fastening to even the heaviest of doors. Suitable for both mortice and rim locks. Ever detail is reproduced faithfully and the handle has a wonderful patina of use and age.